The oldest archaeological finds date from about the 19th century BC, corresponding to the early European Bronze Age. It shows signs of occupation for the period from the 19th to the 7th centuries BC. Finds from the Middle Bronze Age (c. 16th to 14th centuries BC) are the most numerous (mainly ceramic vessels, stone-mills and a few molds). An agglomeration from the Iron Age was discovered in 2009. 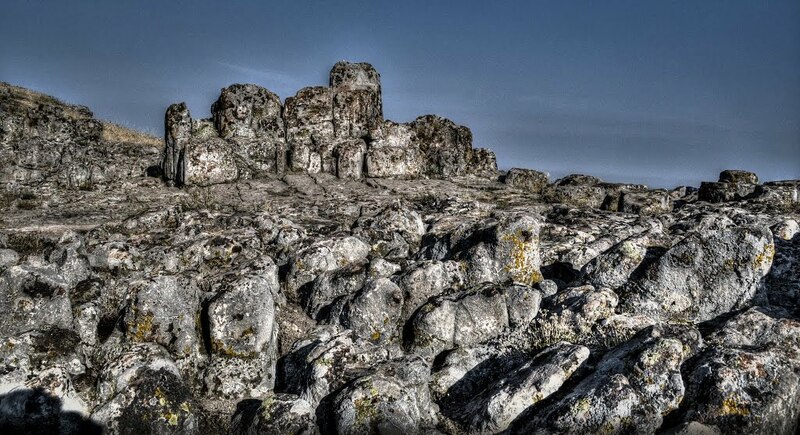 The Kokino "megalithic observatory" should be distinguished from the wider Kokino archaeological site. While the observatory consists of two platforms of a combined area of about 5000 square meters, the site covers about 30 hectares. From this area, an abundant amount of fragments of ceramic vessels, dated to between the 19th and the 11th centuries BC. Also found was a mould for casting bronze axes, and a pendant. 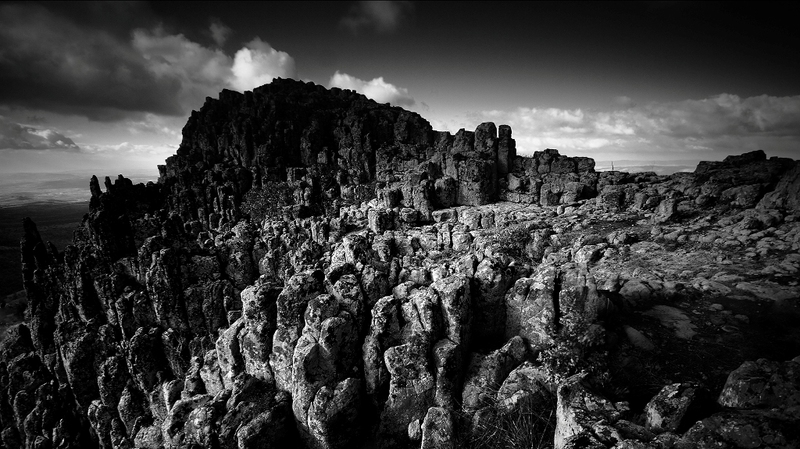 The remains of vessels filled with offerings were found deposited in cracks in the rocks, which gave rise to the interpretation of the site as a "holy mountain". 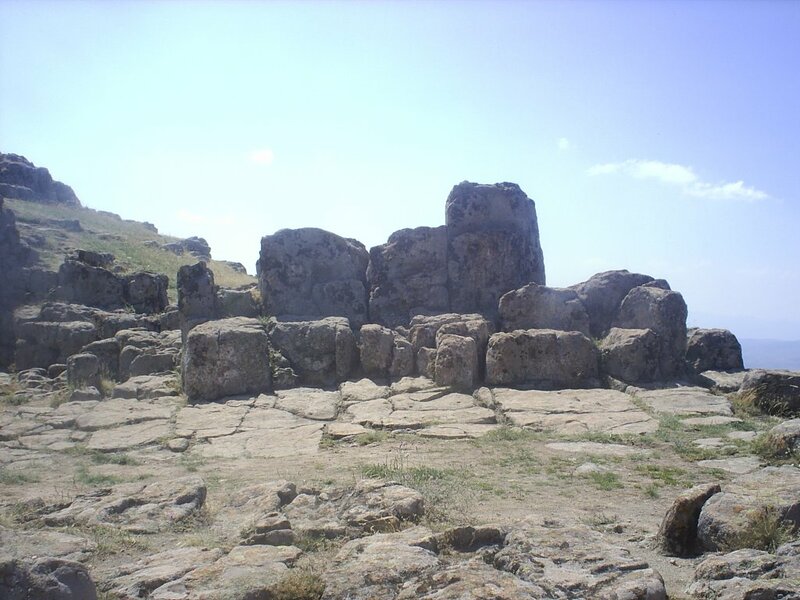 The claimed archaeo-astronomical site itself consists of two platforms with an elevation difference of 19 m. The claim of the site representing an astronomical observatory was made by Stankovski and by Gjore Cenev in 2002. According to this interpretation, the site includes special stone markers used to track the movement of the Sun and Moon on the eastern horizon. 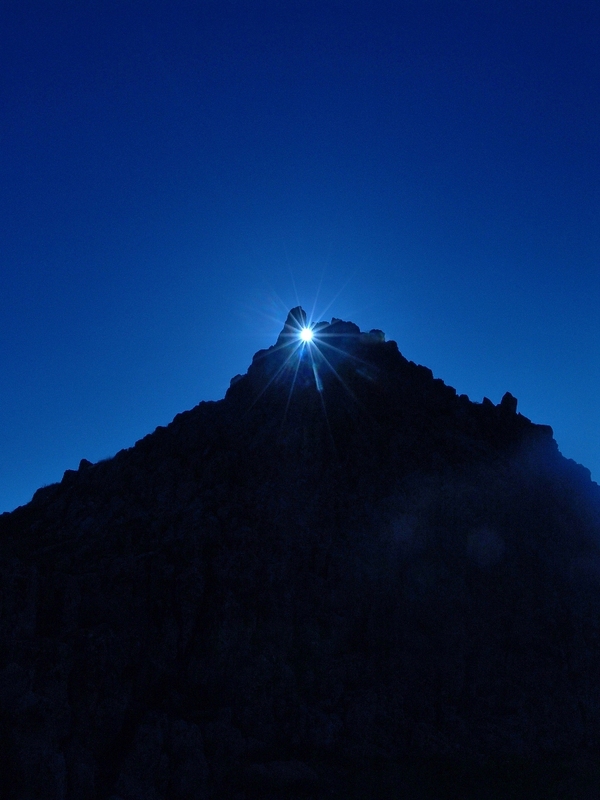 The observatory used the method of stationary observation, marking positions of the Sun at the winter and summer solstice, as well as the equinox. Four stone seats or "thrones" are placed in a row on the lower platform. 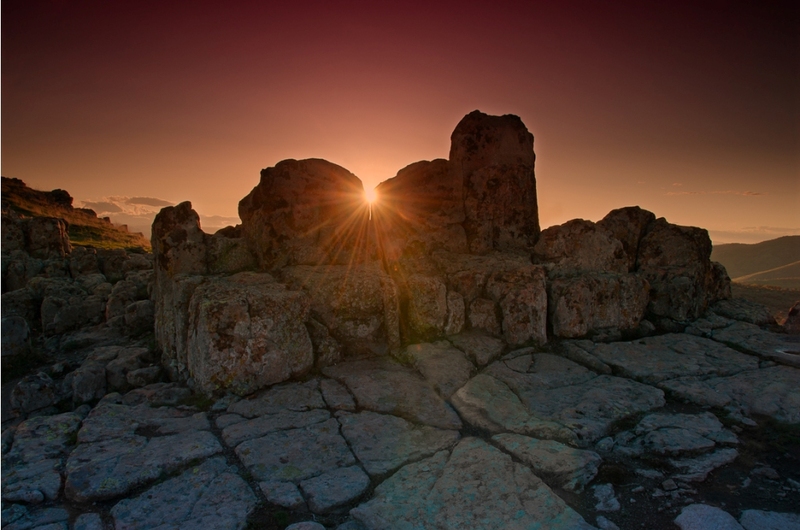 According to Cenev, A stone block with a marking on the upper platform marks the direction of sunrise on summer solstice when viewed from one of the seats. 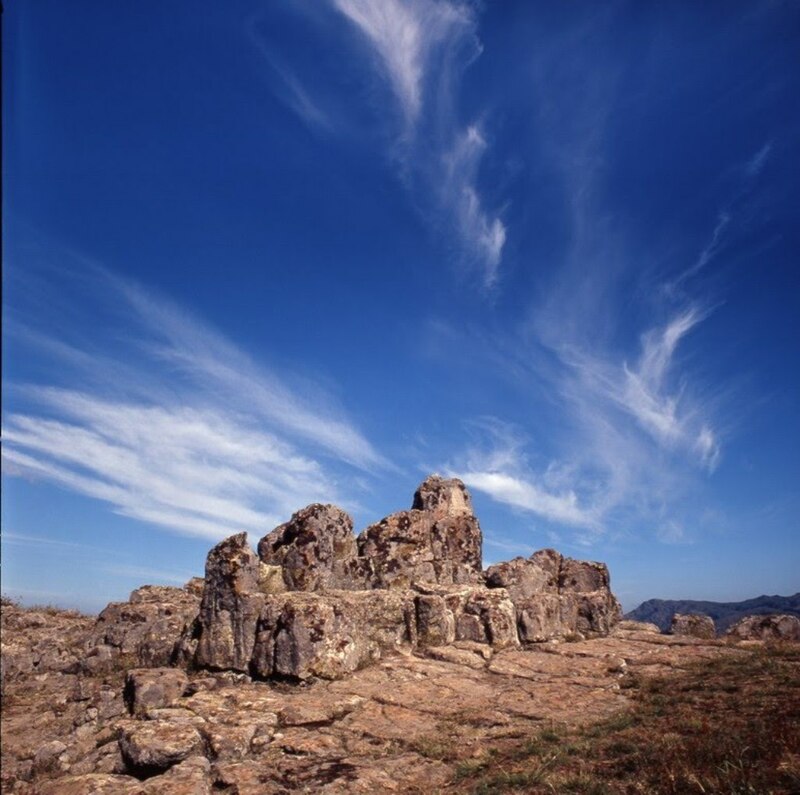 Kokino was mentioned in a poster made by NASA's "Sun-Earth Connection Education Forum" in 2005. The Cultural Heritage Protection Office of Macedonia's Ministry of Culture declared the site a "property under temporary protection" on 13 November 2008 (Decision nr. 08-1935/6). 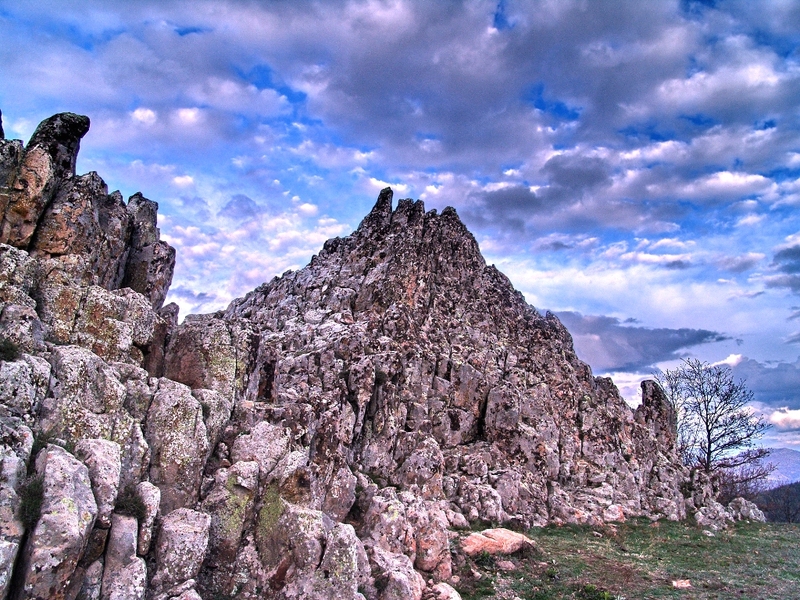 In 2009, Minister of Culture Elizabeta Kancheska-Milevska declared Kokino "one of the priorities of the Ministry of Culture’s 2009 programme” In 2009, the Republic of Macedonia also suggested the site be inscribed on the World Heritage Site list. If you are considering to go by bus u have a dozen of bus lines between Skopje and Kumanovo. Time travel is 1 hour. Price for one way ticket is 100 denars / 1.6 EUR. 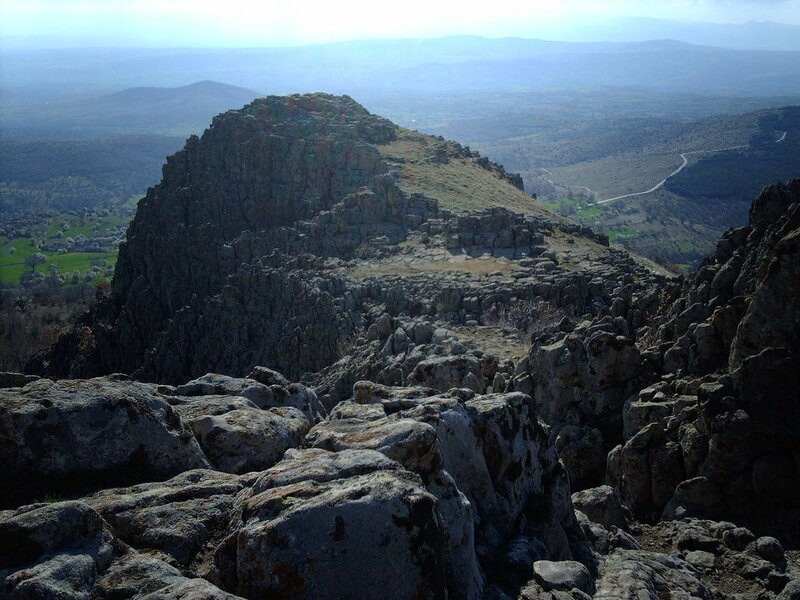 Then you have to call a taxi to get to Kokino. Time of departure from Skopje: 06:00, 07:00, 07:25, 07:30, 07:45, 08:30, 08:45, 09:00, 09:30, 09:45, 10:20, 10:30, 10:45, 11:30, 11:45, 12:10, 12:30, 12:45, 13:00, 13:45, 14:00, 14:25, 14:30, 14:45, 15:30, 15:45, 16:00, 16:30, 16:40, 16:45, 17:00, 17:45, 18:30, 18:45, 19:00, 20:00, 21:00, 21:15, 21:30. If you like to travel to Kumanovo by train the time travel is 1 hour. 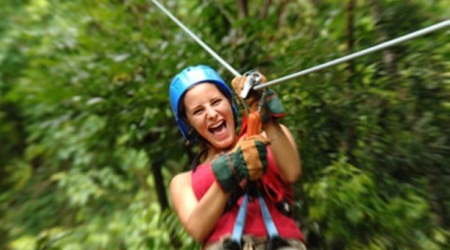 Price for one way ticket is 100 denars / 1.6 EUR and price for two ways ticket is 170 denars / 2.8 EUR. Time of departure from Skopje: 06:20, 08:20, 11:00, 16:25, 19:00, 20:10, 23:00. If you are not comfortable to travel by train or bus, you can always get a taxi. 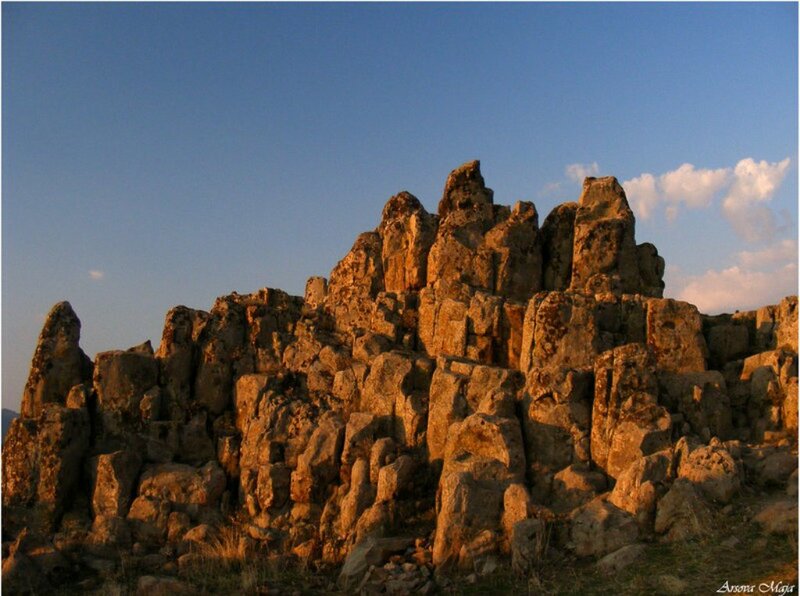 The price in one way to Kokino is more or less 2000 denars / 32.5 EUR. 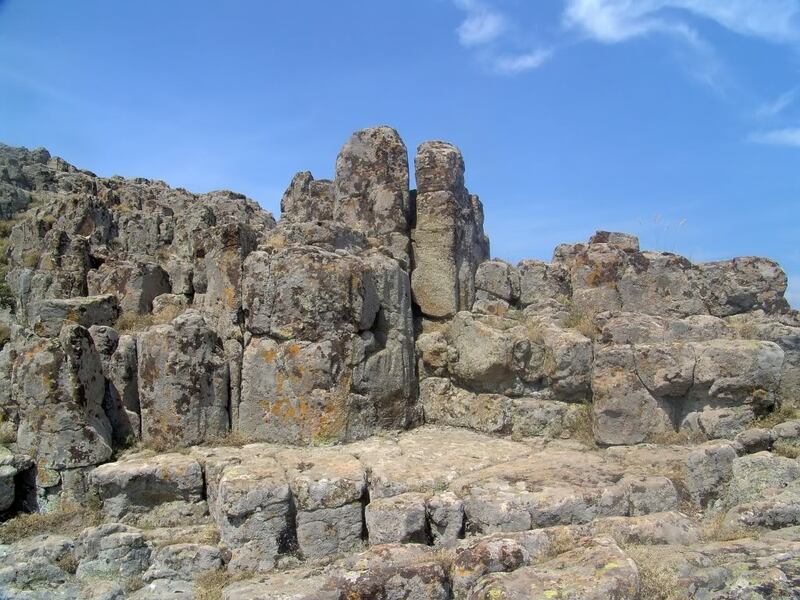 If you'd like to explore the land during your travel to Kokino you can go by car. 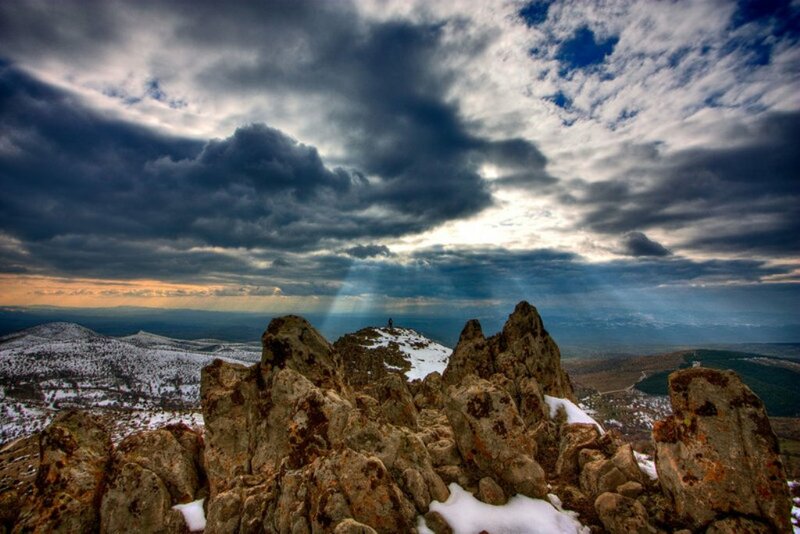 Distance between Skopje and Kokino is 70 km.